We did a great exercise in Dan Holland’s character design class. Pick some portraits and try to capture their personalities instead of capturing what they actually look like. I used markers to draw them so I couldn’t erase, which made me worry less about making mistakes, and just concentrate on drawing for fun. It’s really interesting to see different shapes can be used to draw the same character. Anyway, I really like how these turned out but the credit goes to also had some great references. 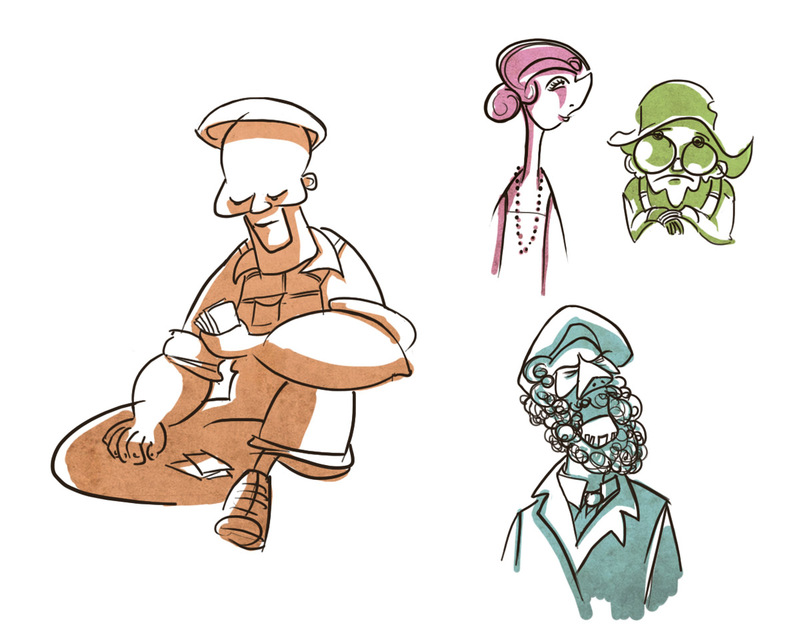 After that, I took the character sketches that I liked into photoshop and cleaned them up. 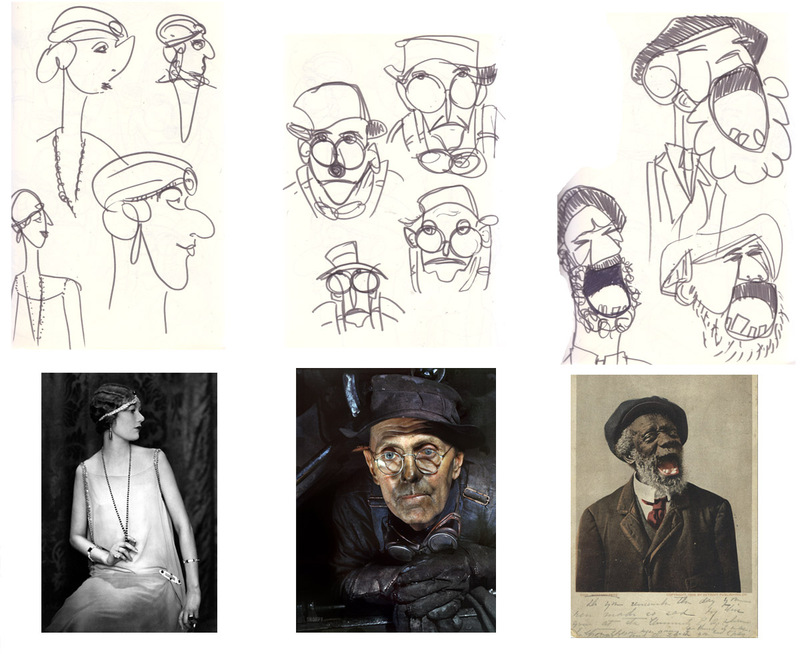 Here’s an example of the initial sketches to final photoshop product. You are currently viewing the archives for April, 2014 at Clarabelle Chong.